Dear Wren, Wow! You are an amazing reader! 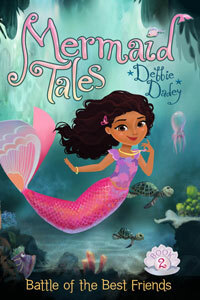 I love the picture your mother sent of you with all 18 Mermaid Tales books. Would you like this poster to print out? It doesn't have the last two, so I need to make a new one!